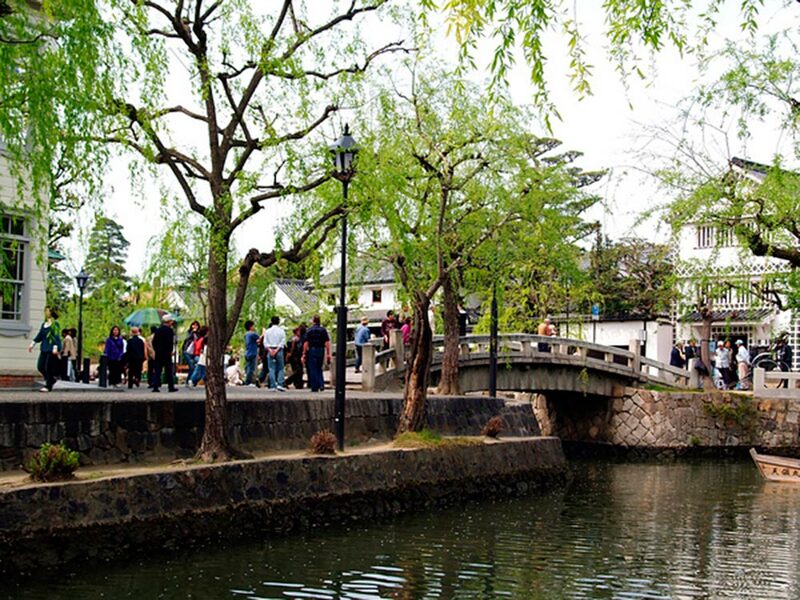 Kurashiki is located merely 20 minutes from Okayama and is easily accessed by train and public transportation. 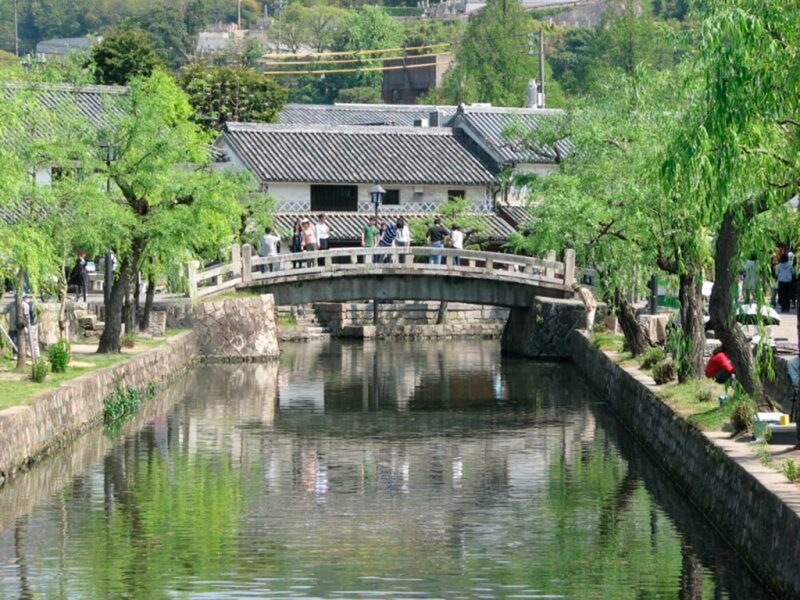 It is a place you must visit, especially if you are venturing out to Bitchu Matsuyama Castle. Kurashiki is known for its history of art and its unique white-walled warehouses. 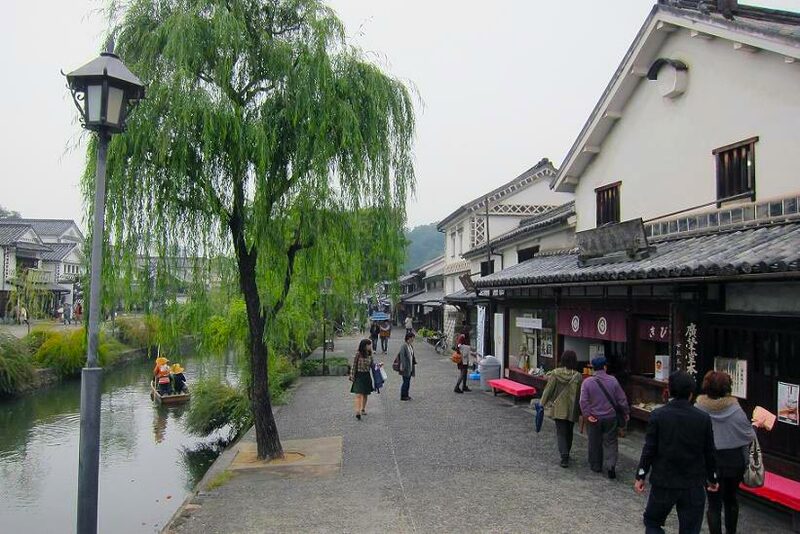 Most tourists when visiting Kurashiki will be mainly visiting the Bikan Historical District. It is in the district that there are many things to see and do and it is easy to enjoy a full couple of days here just visiting the main sights and exploring the small streets. You’ll want to visit Ivy Square, which used to be an old factory. This is now the center of all of the tourist attractions and you’ll often find local art shows being held here, alongside many souvenir and snack shops. 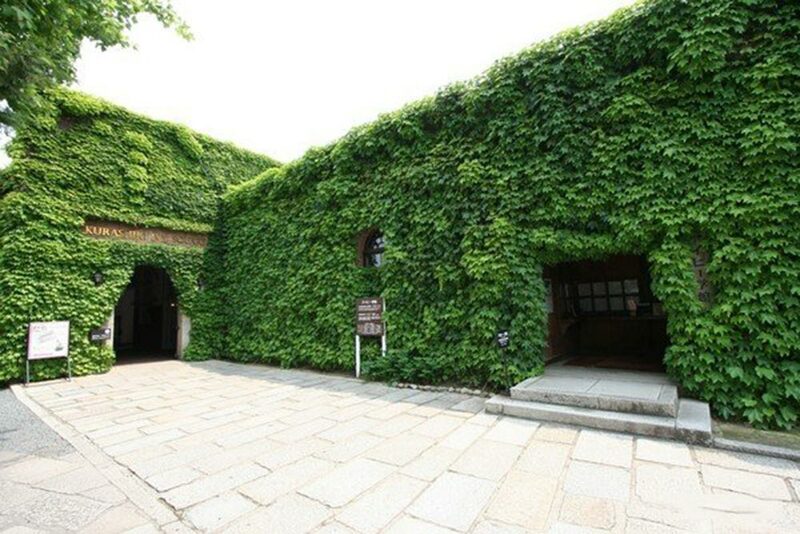 This building is quite hard to miss as it is one of the largest buildings in the area and it is covered in bright green vines. Located not far away is the Ohara Museum of Art. This fine collection houses painting from some of the world’s most famous artists and the buildings architecture is actually inspired by Roman style. With its massive white stone columns this building is also hard to miss since it sticks out from all the other relatively traditional Japanese-styled building. The thing I like best about the Bikan area, other than all of its artsy things to do, is that the whole area has been maintained to look exactly how it did during the late 1800s in the Edo Period. Just walking through the streets, exploring all the architecture and scenery, you feel as though you’ve been taken back in time. It’s quite fun. My favorite area is right along the canal where there are picturesque bridges and you’ll often see people taking traditional boat rides down the river. Although the area is filled with touristy souvenir shops and restaurants geared towards tourists, there are a lot of great local hand made crafts, pottery, and art to be found. You just have to be careful which shops you go into and take a look into small local stores as well!